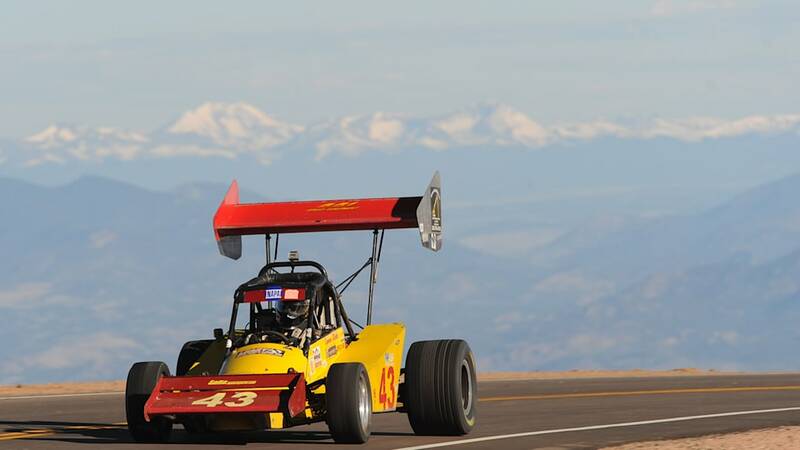 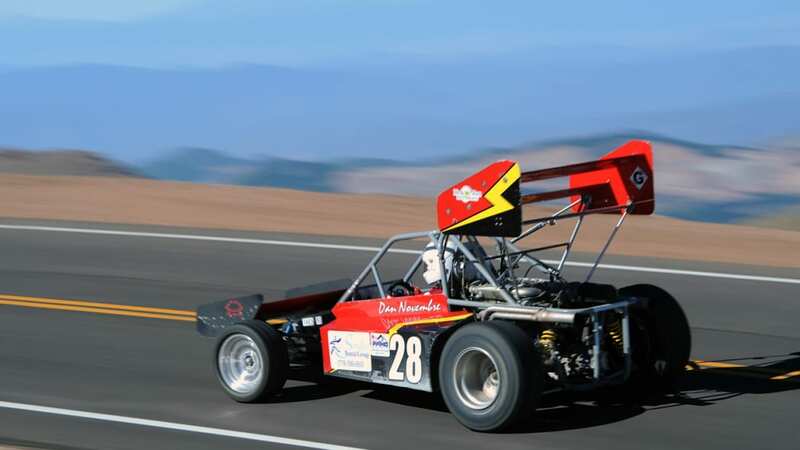 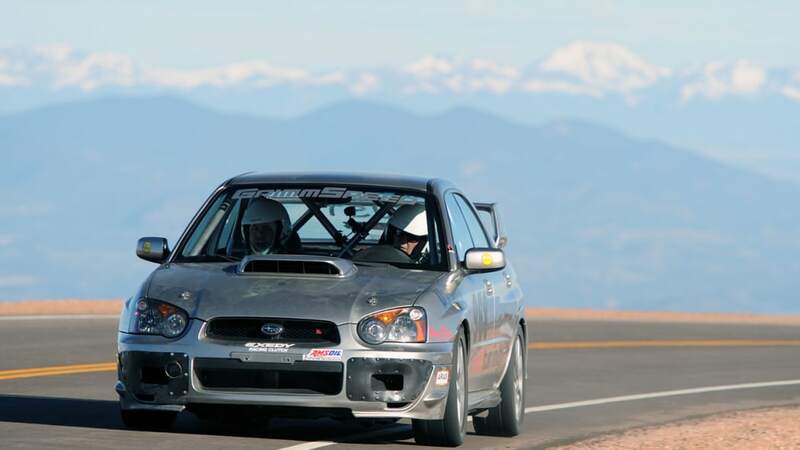 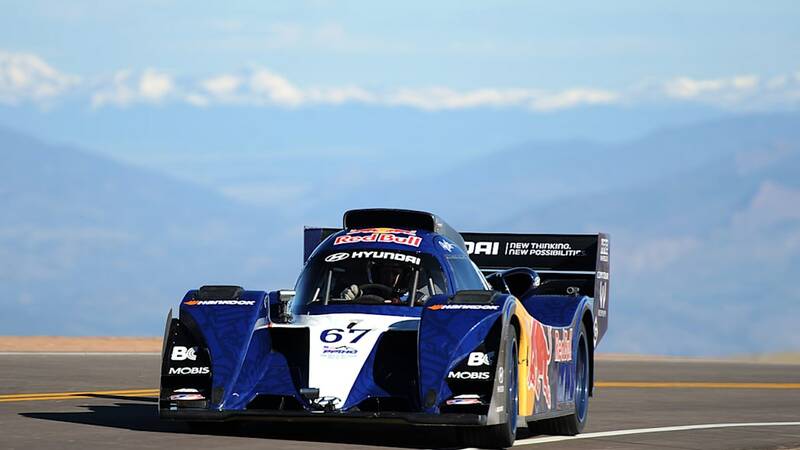 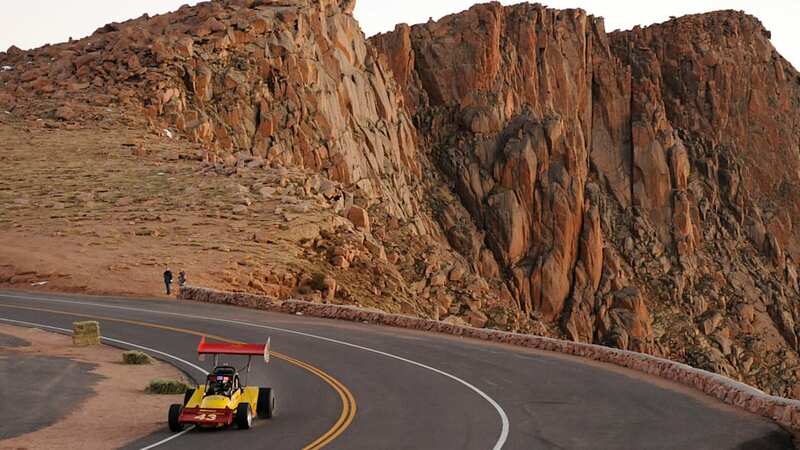 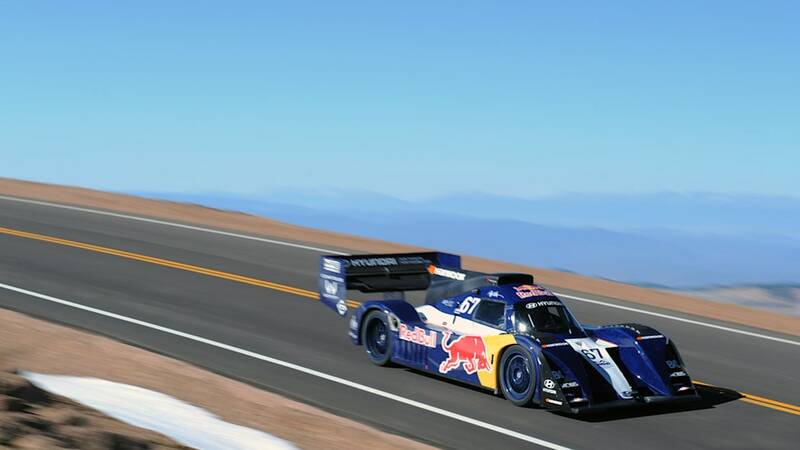 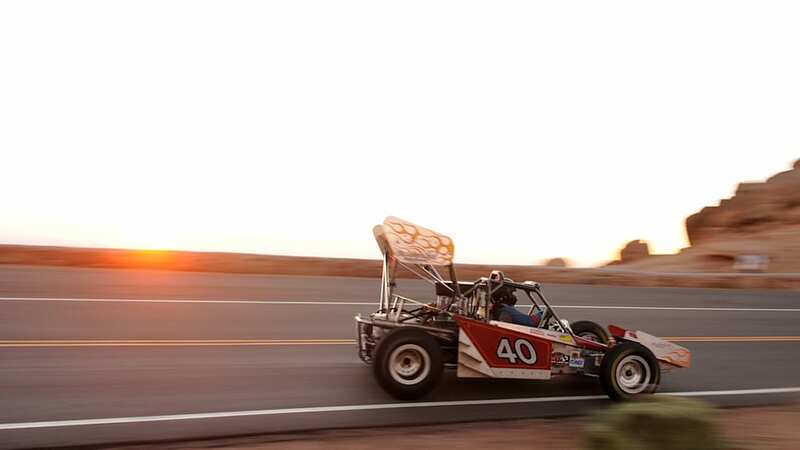 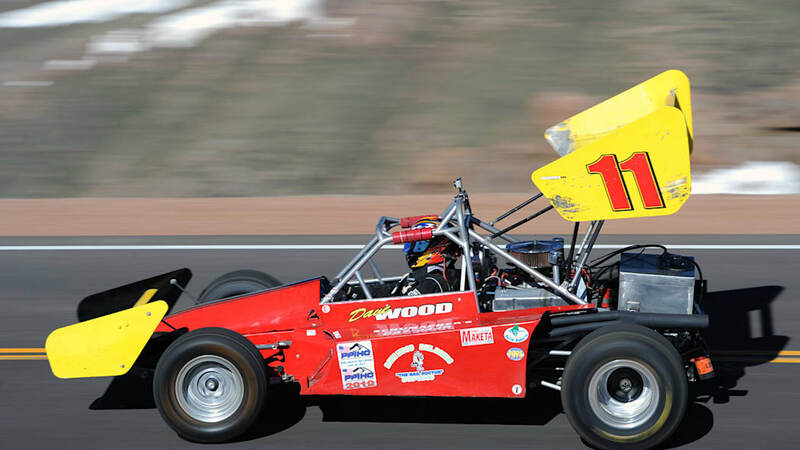 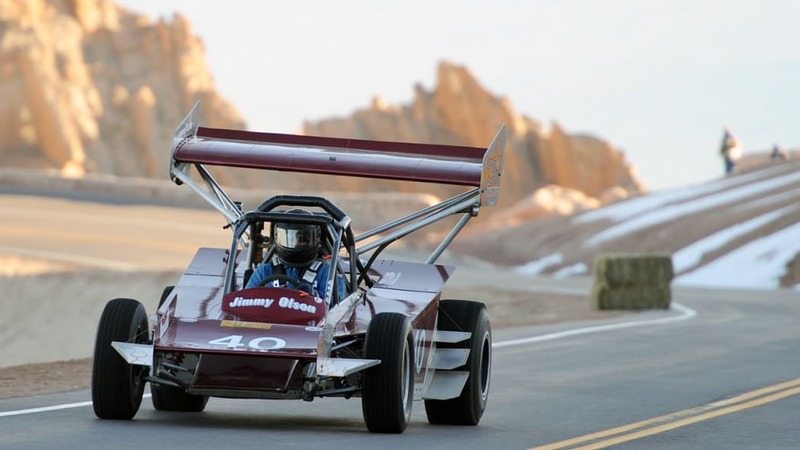 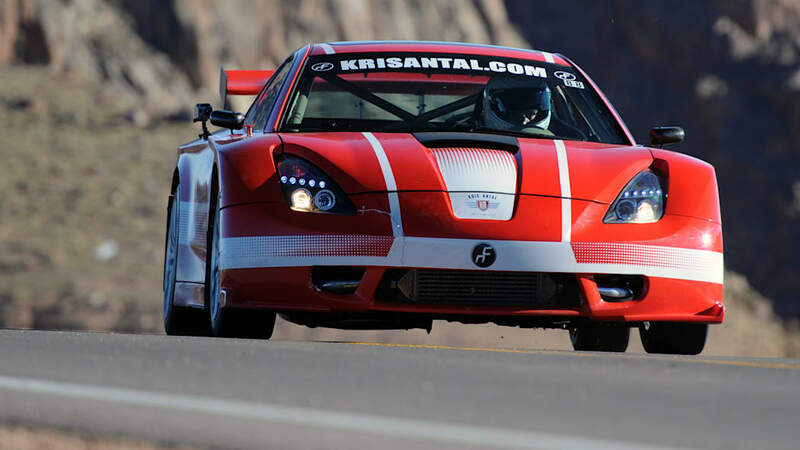 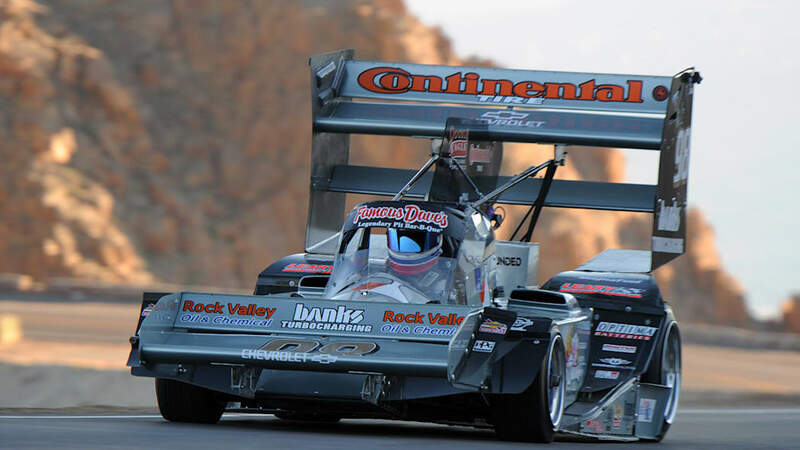 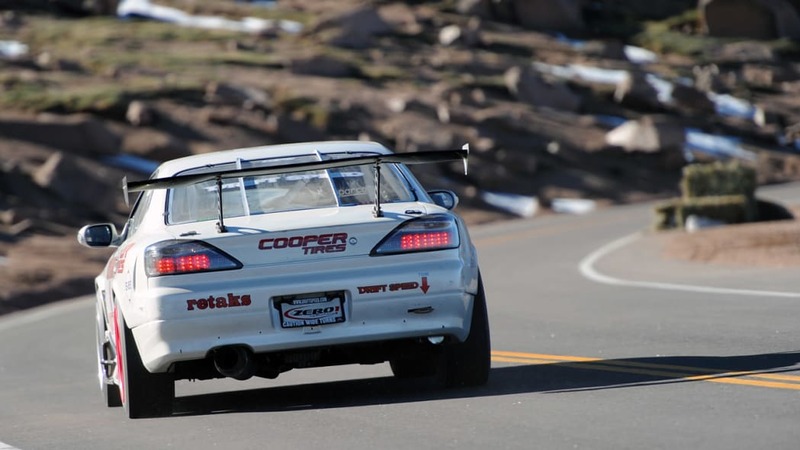 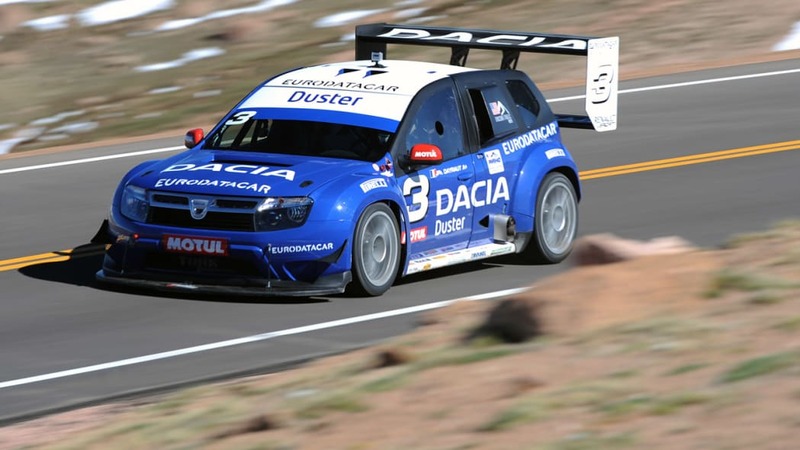 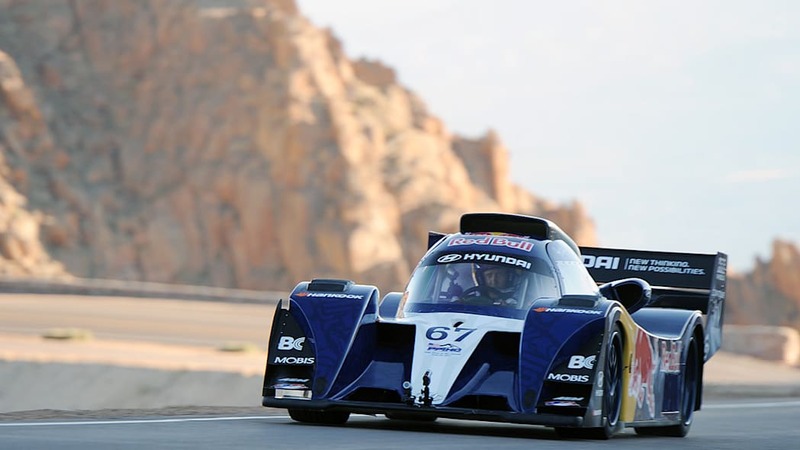 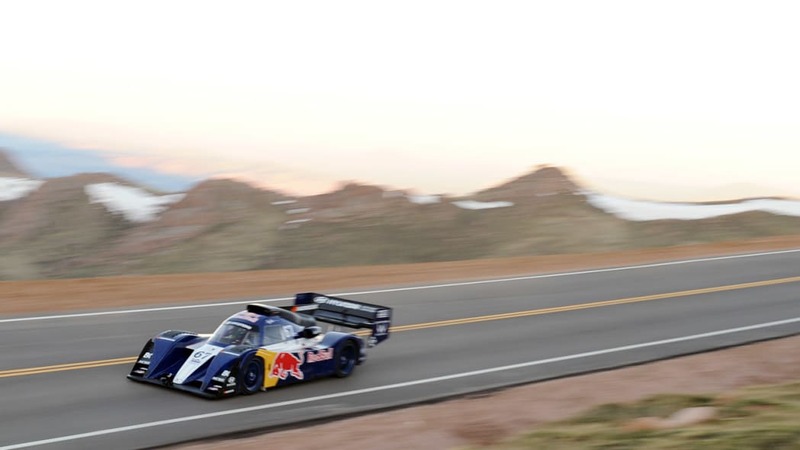 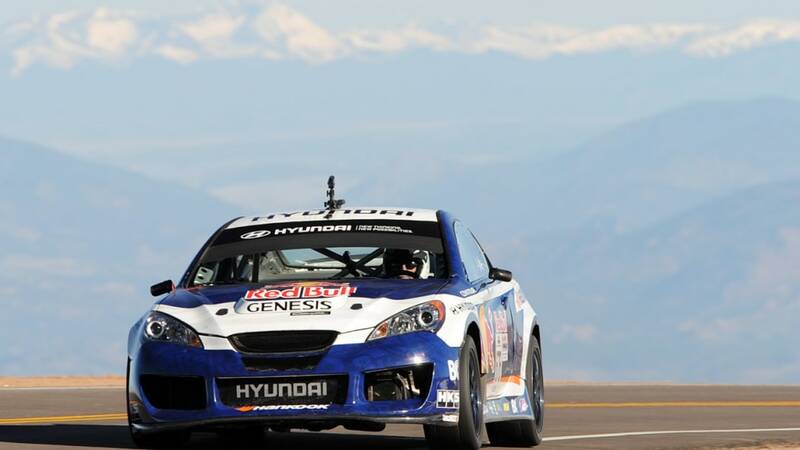 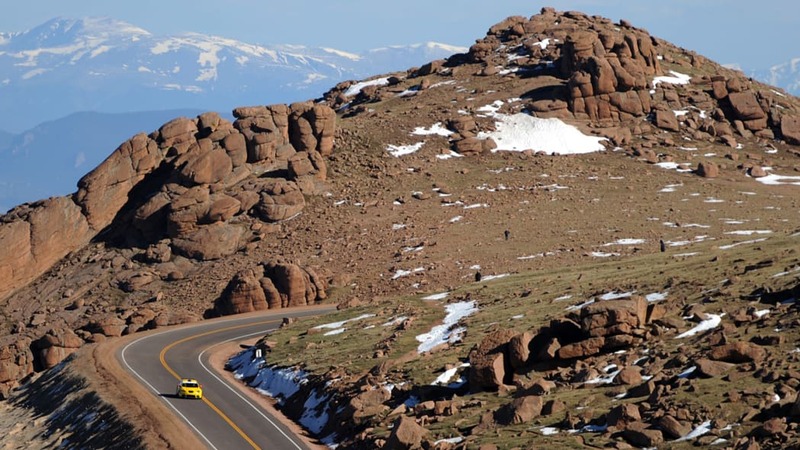 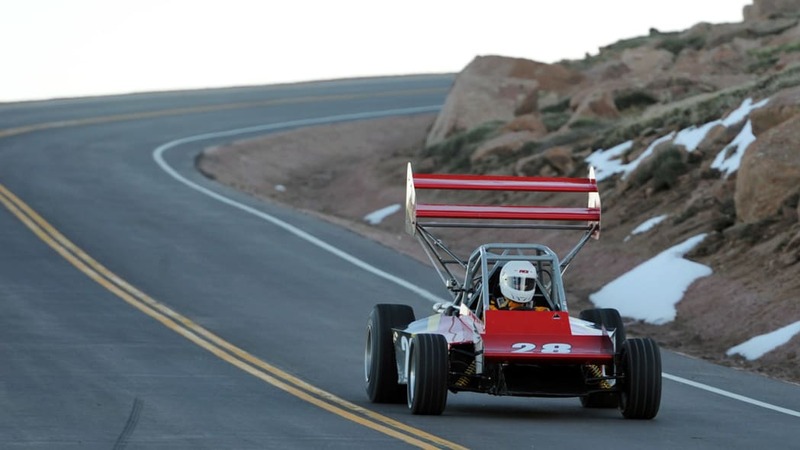 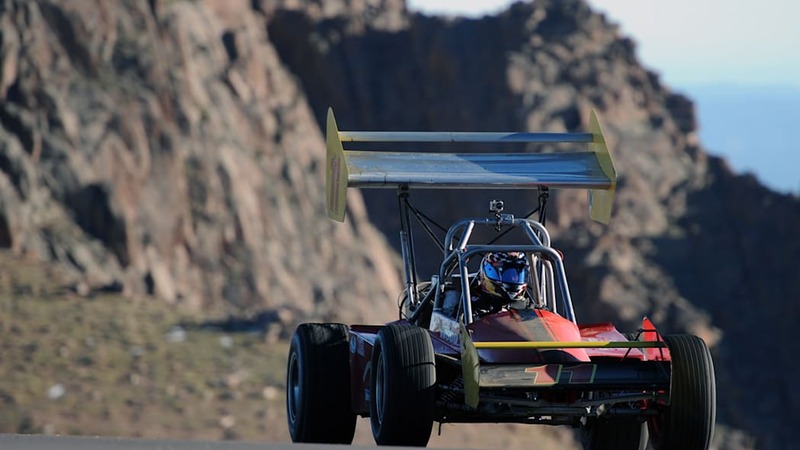 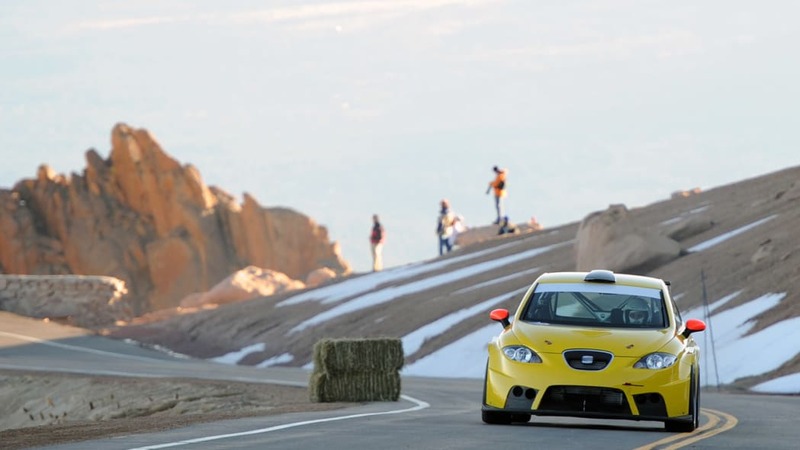 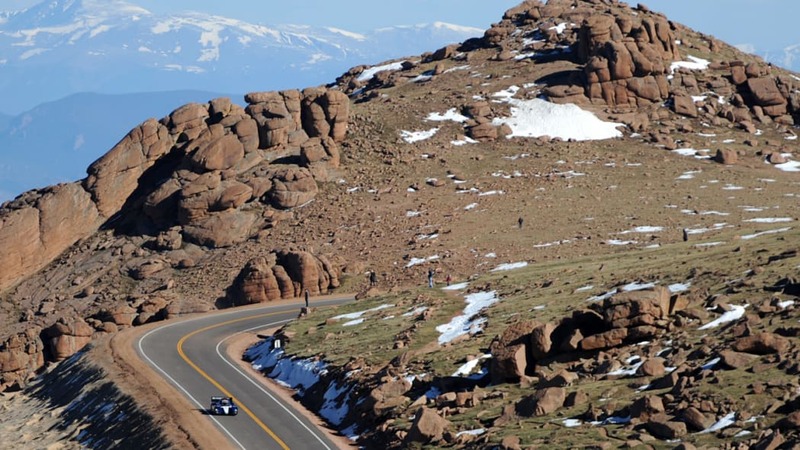 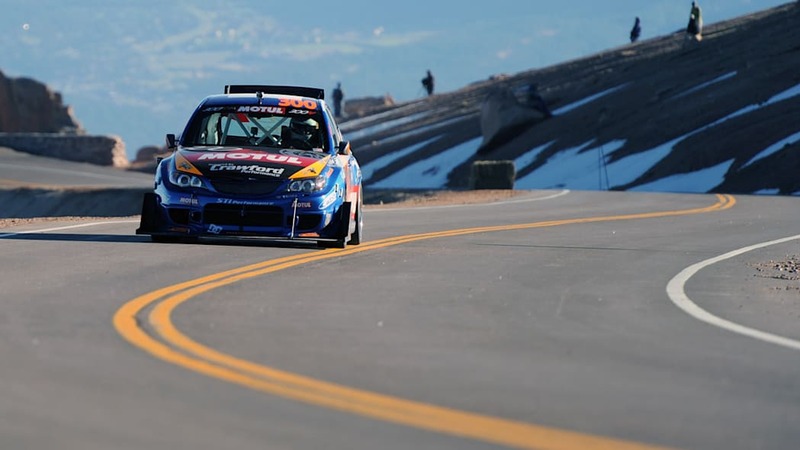 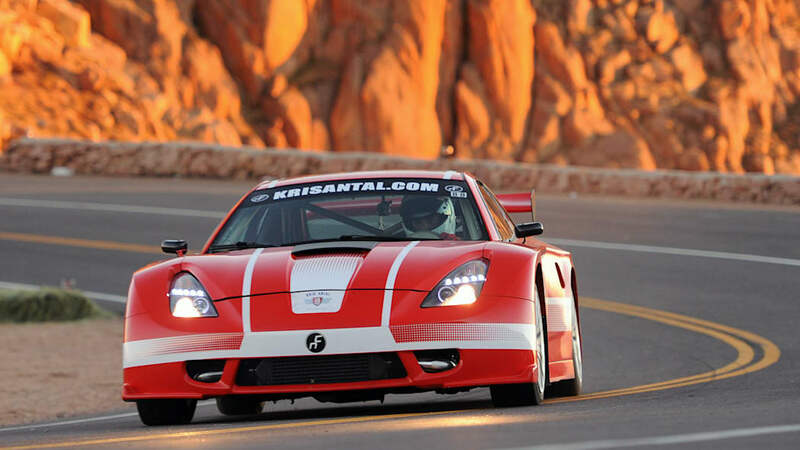 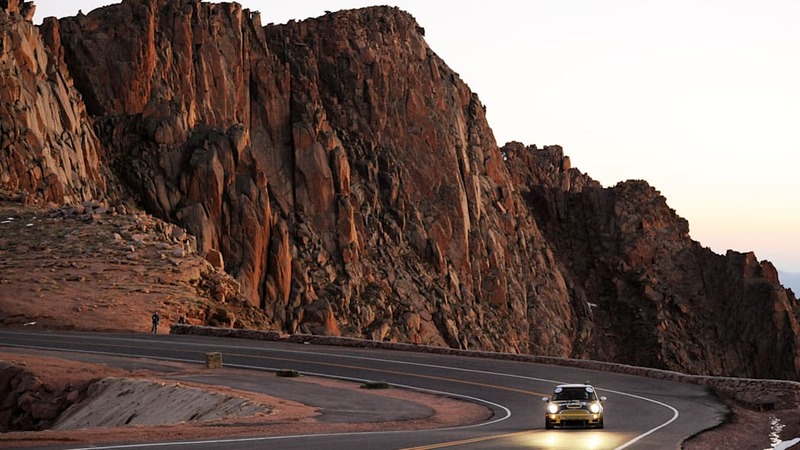 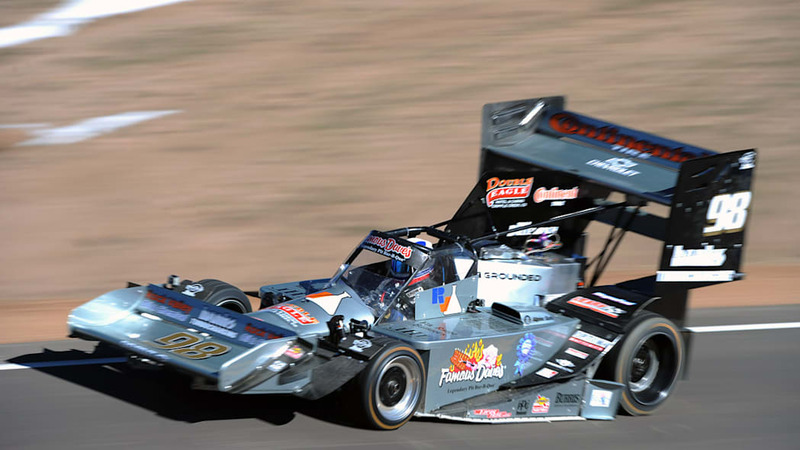 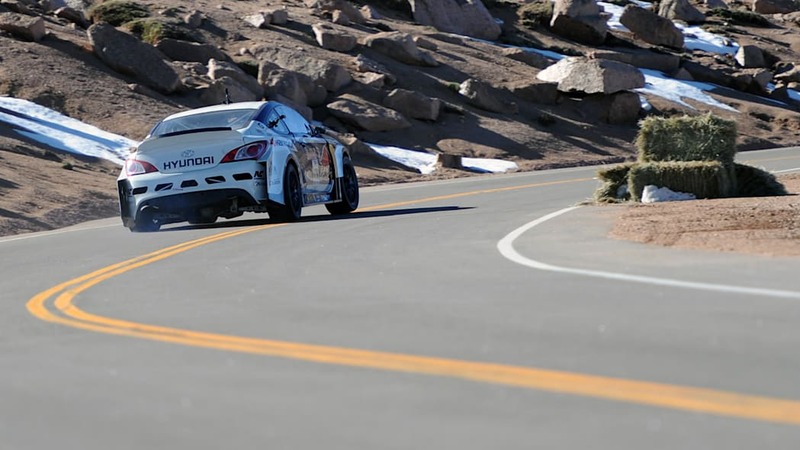 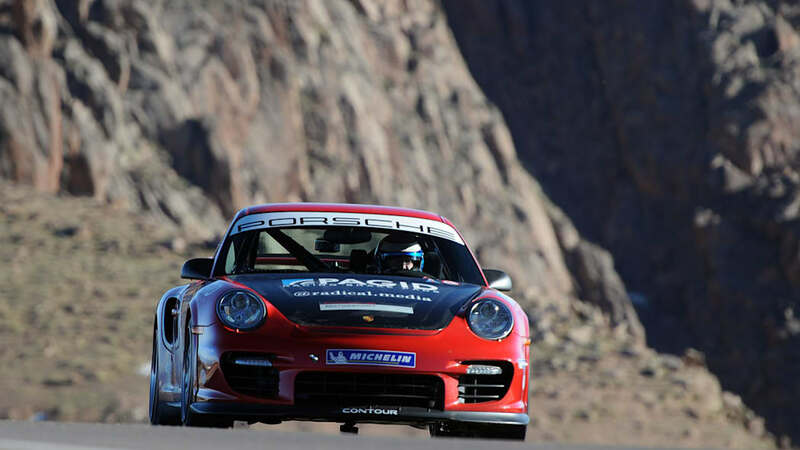 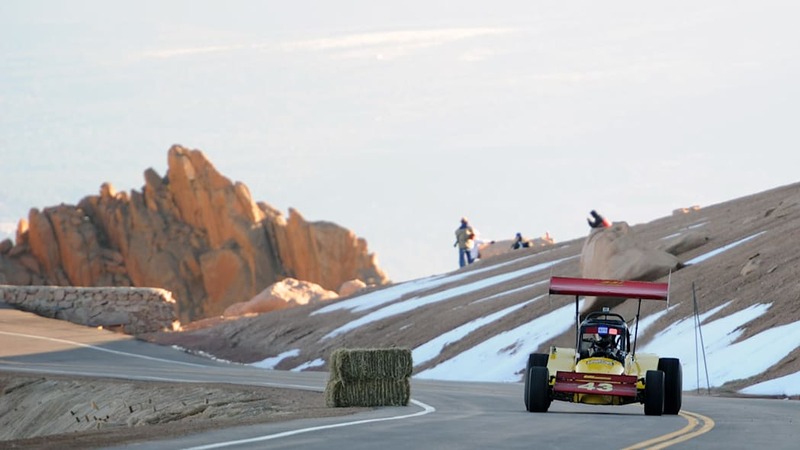 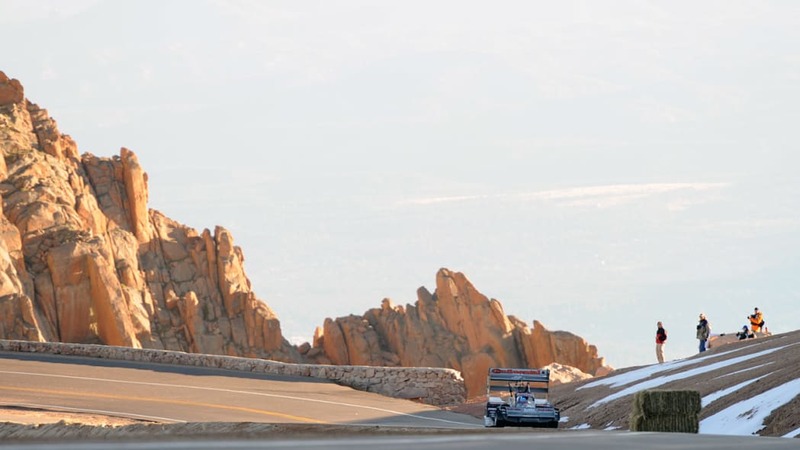 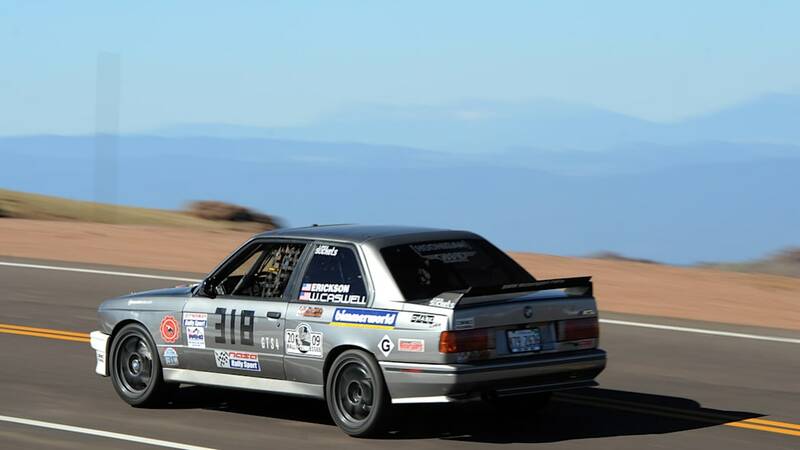 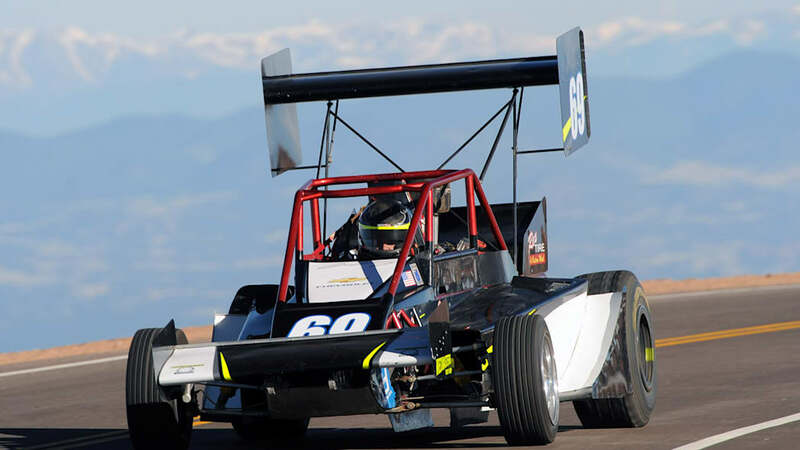 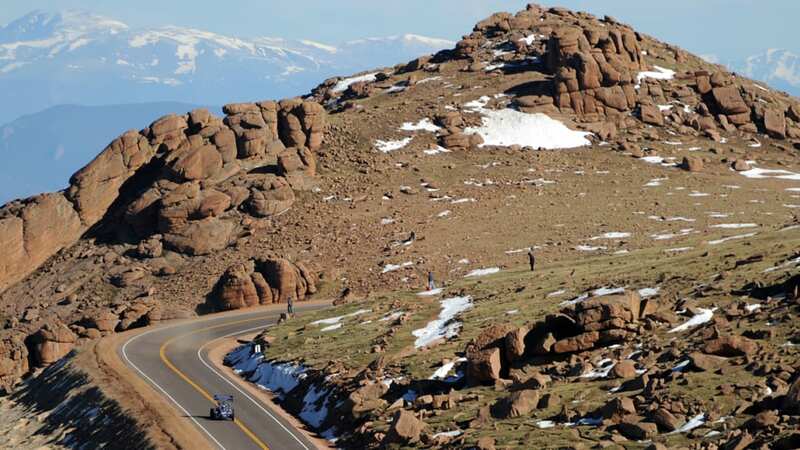 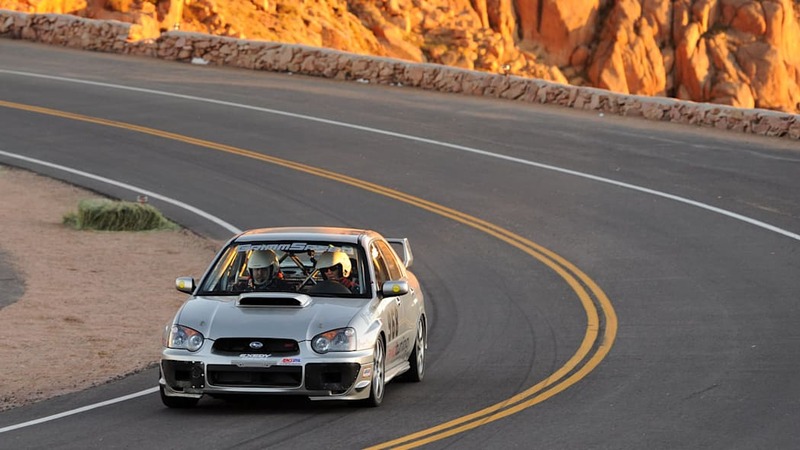 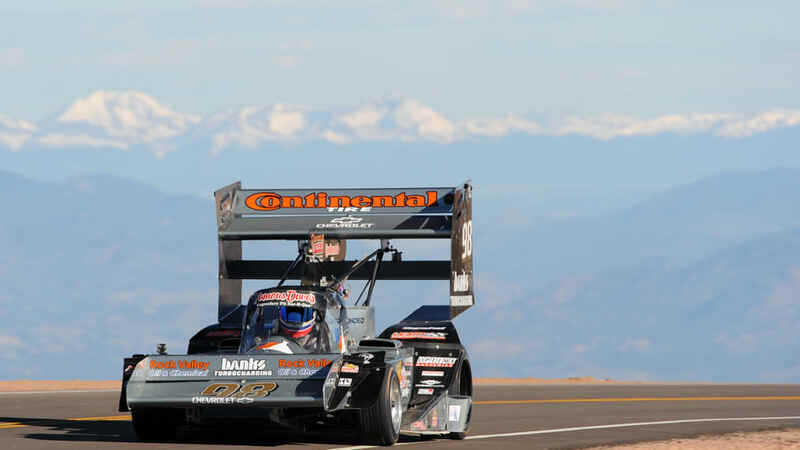 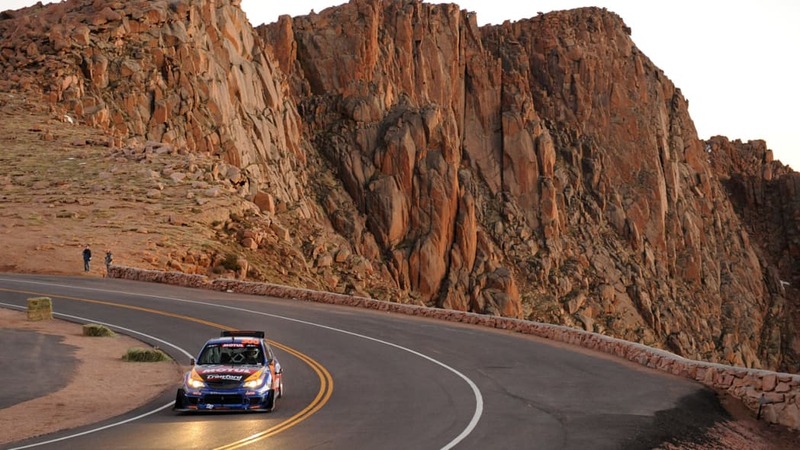 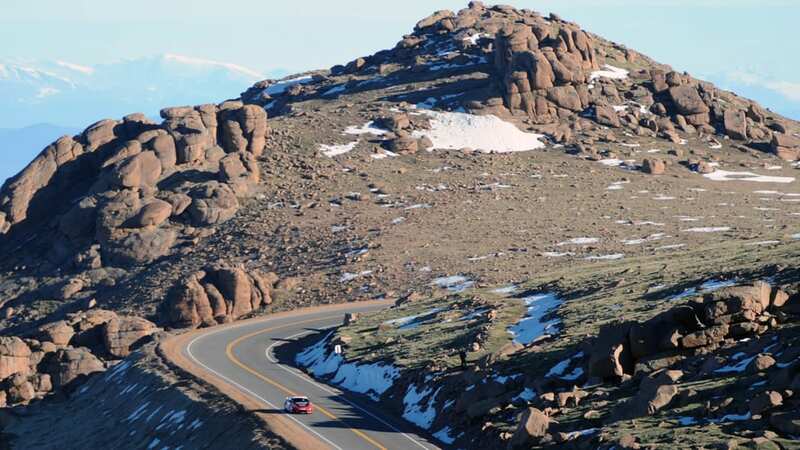 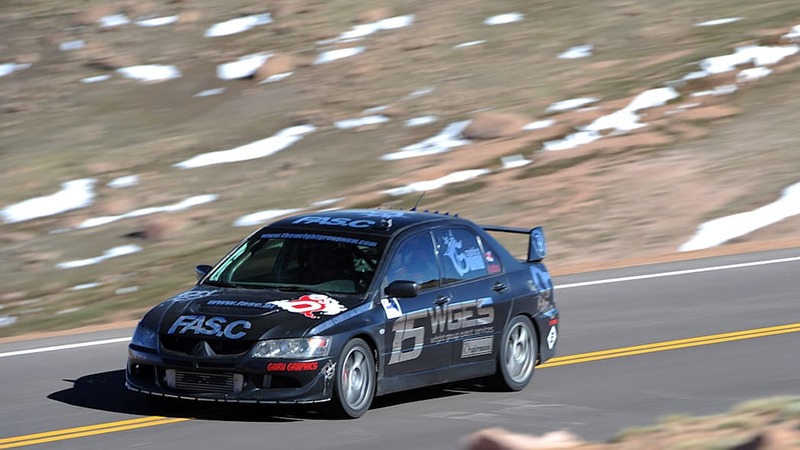 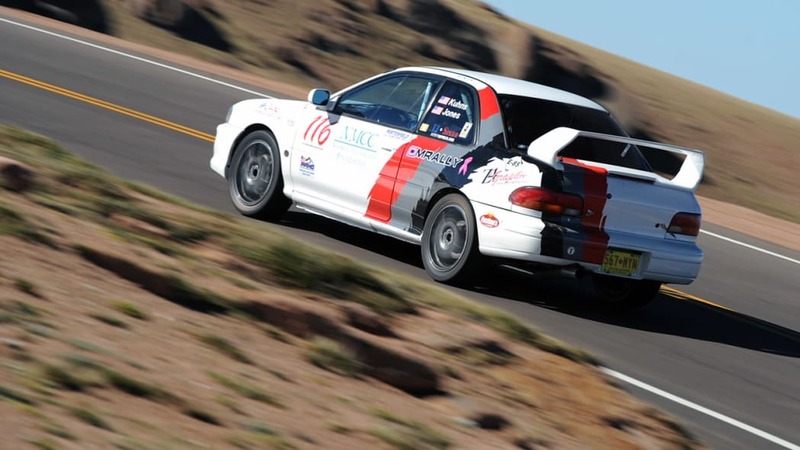 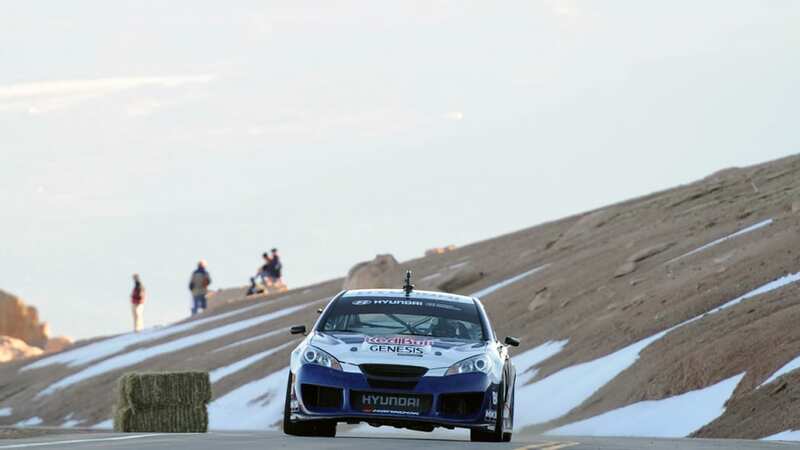 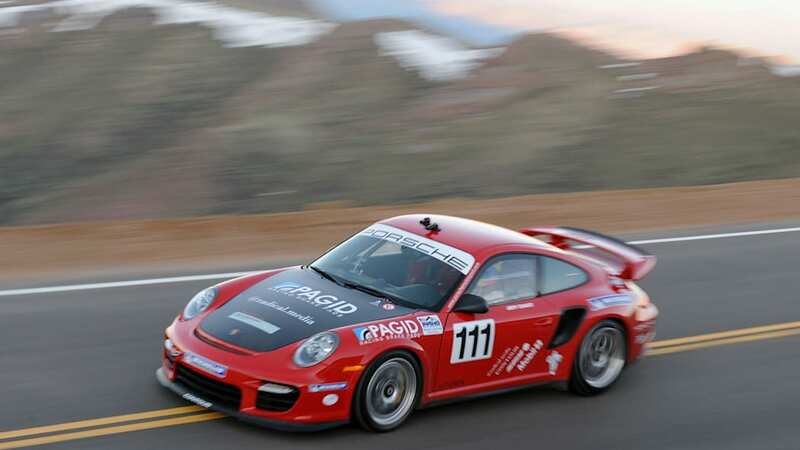 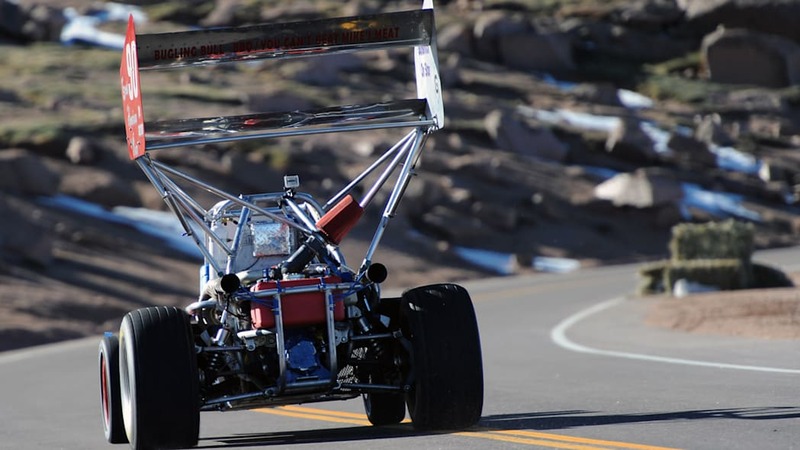 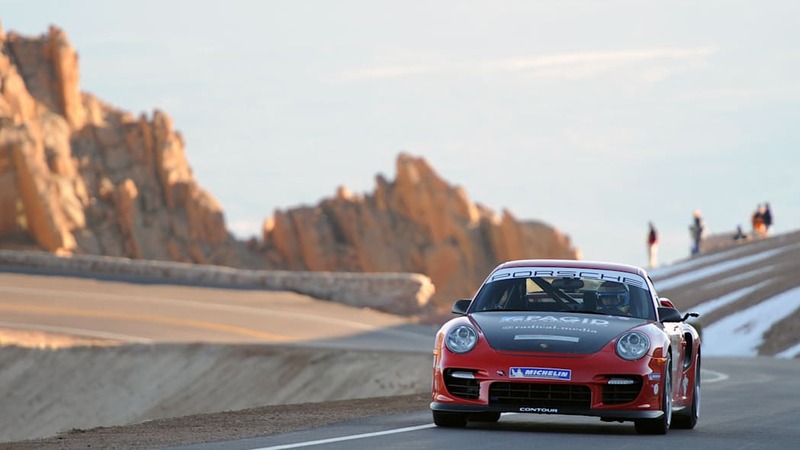 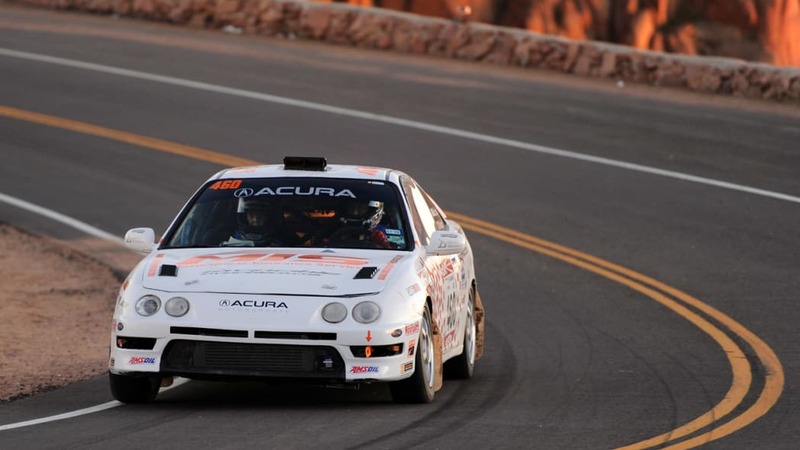 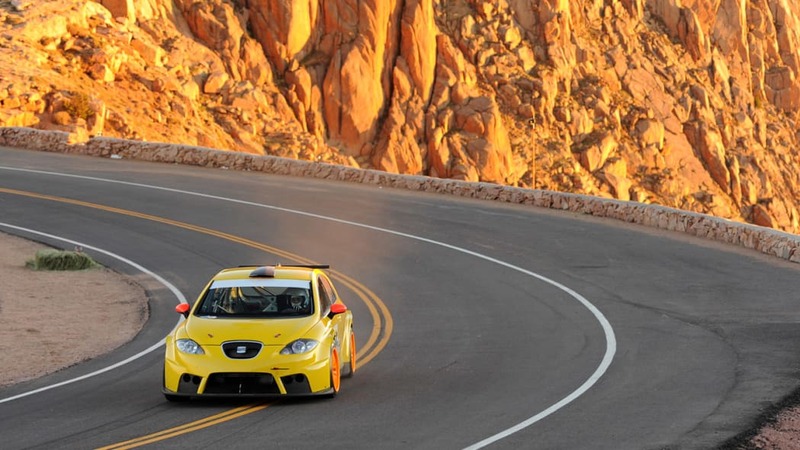 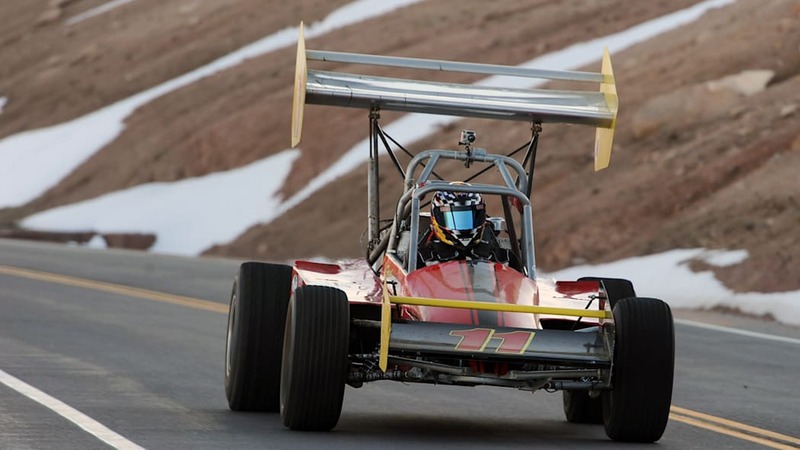 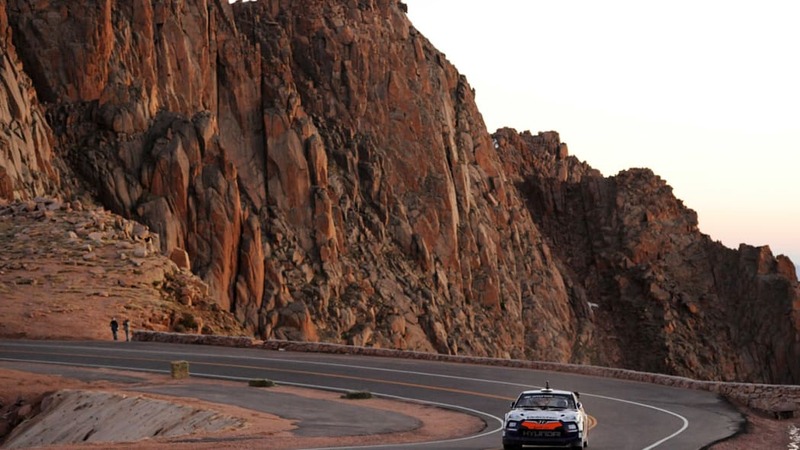 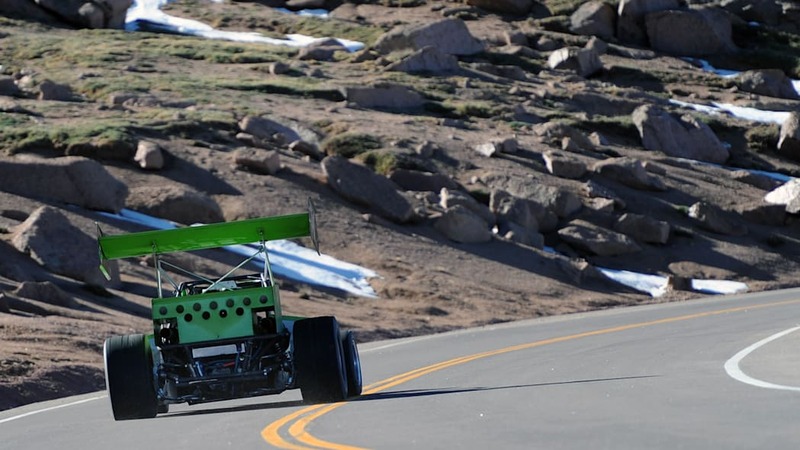 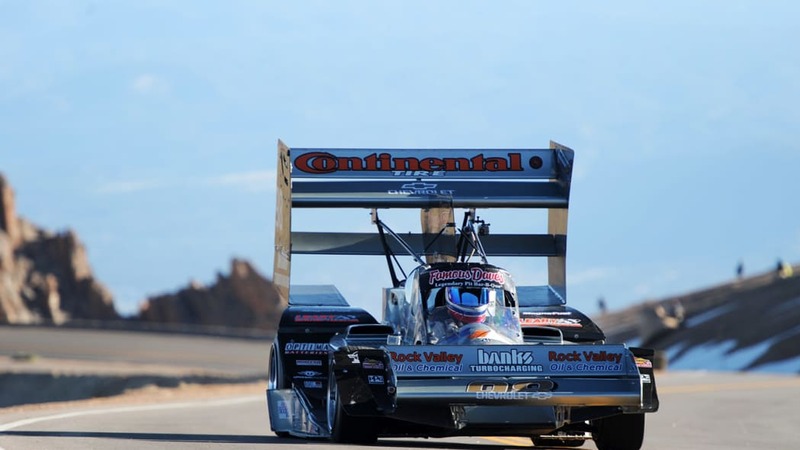 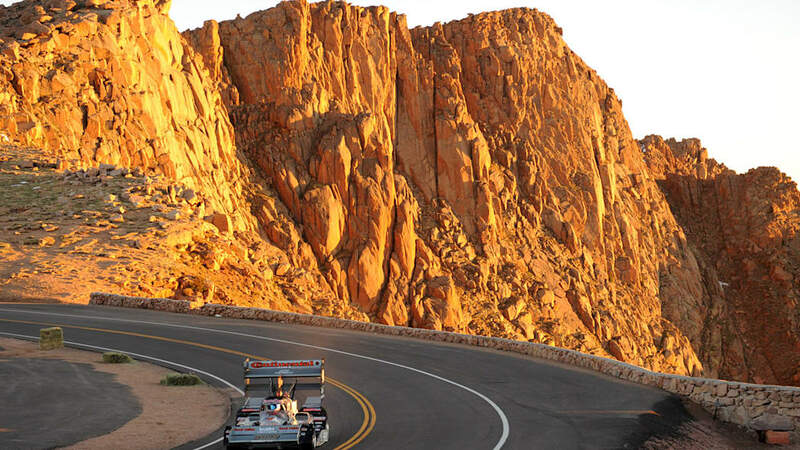 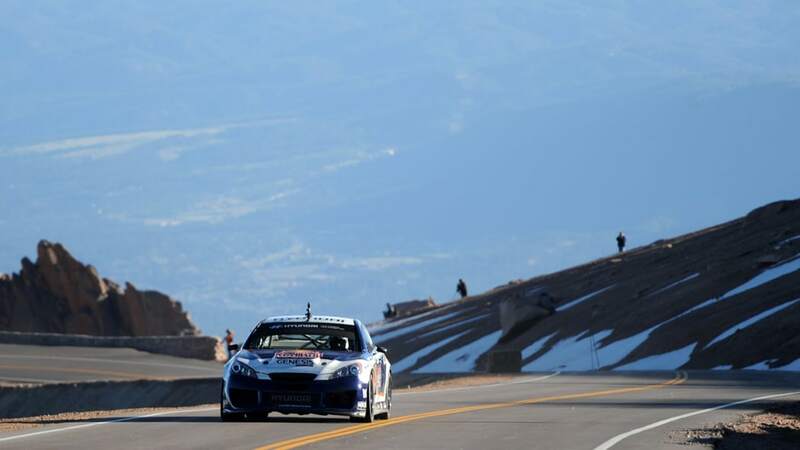 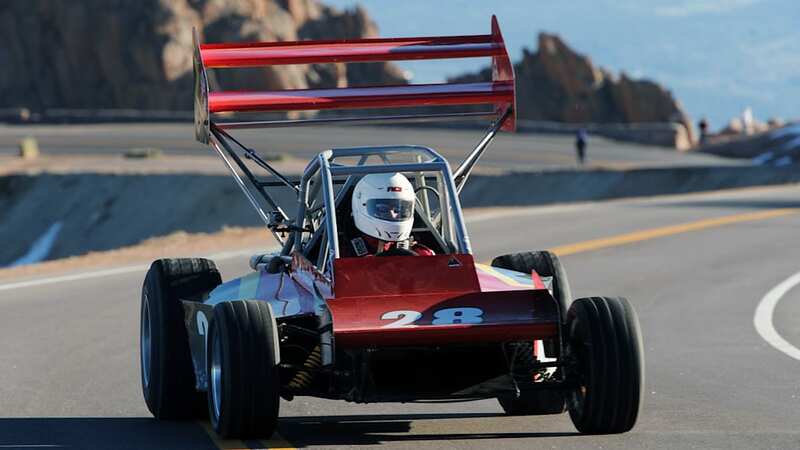 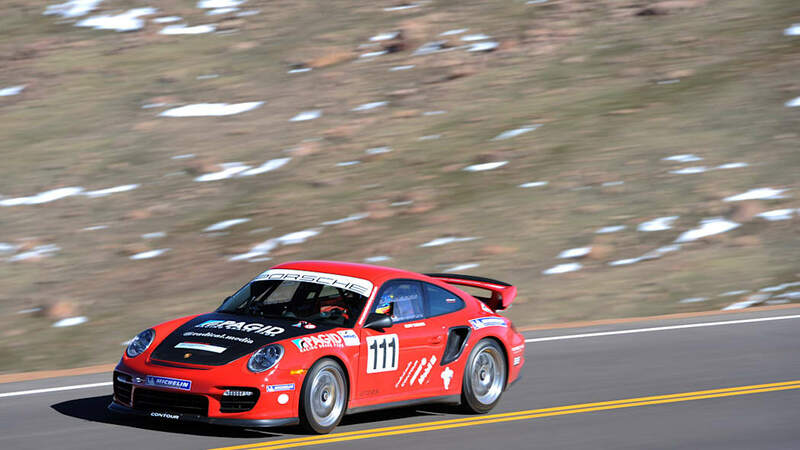 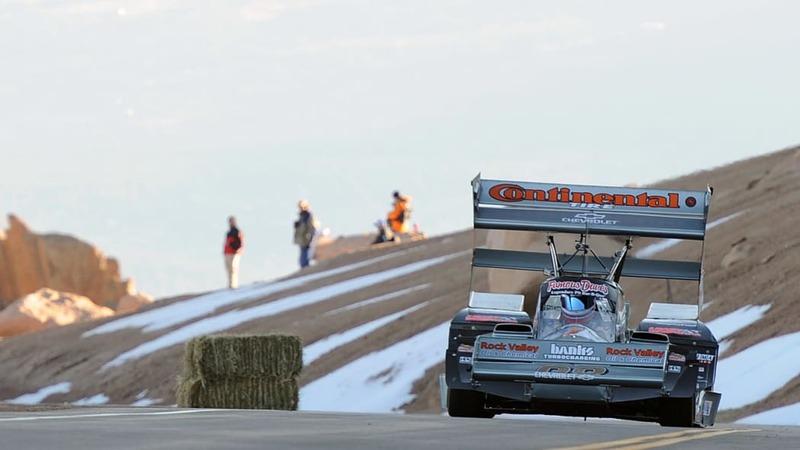 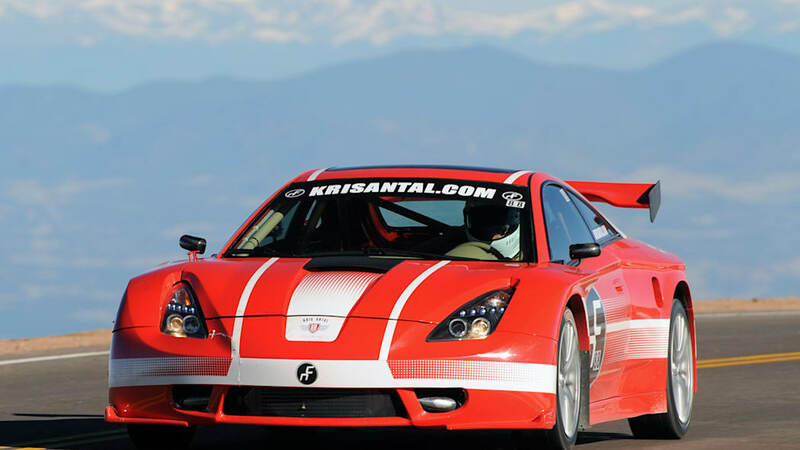 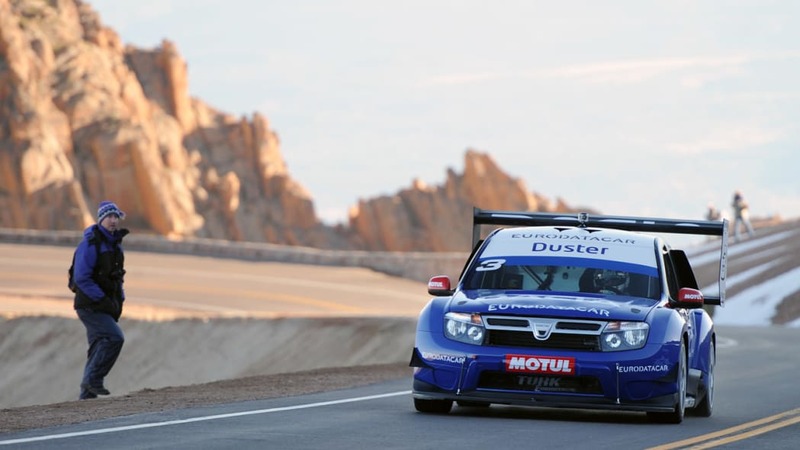 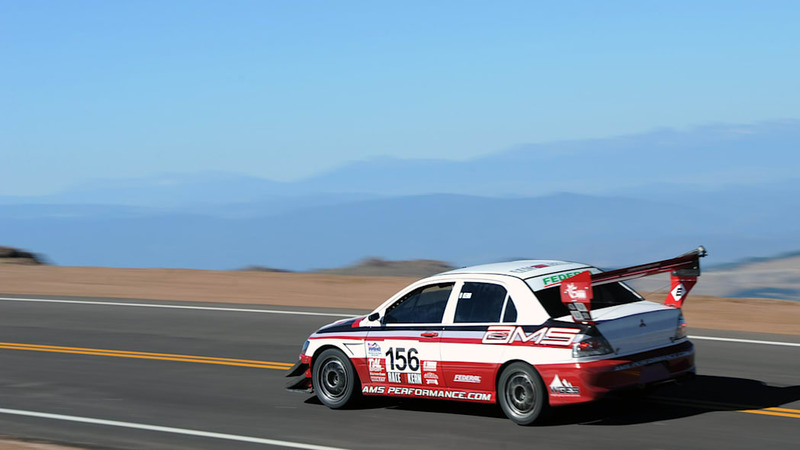 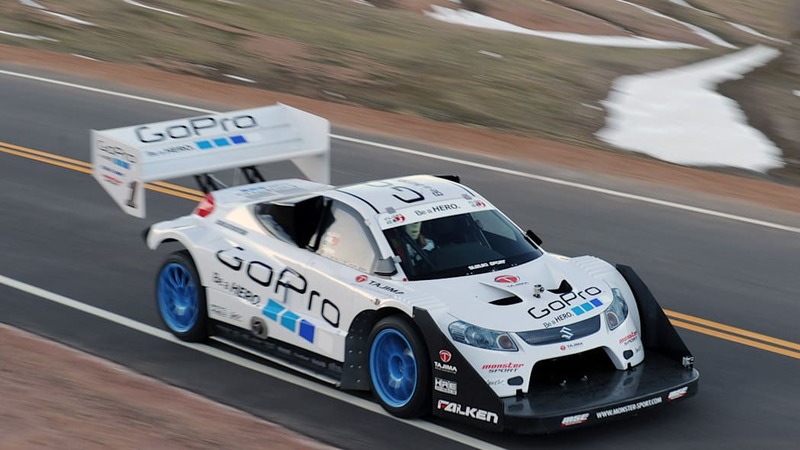 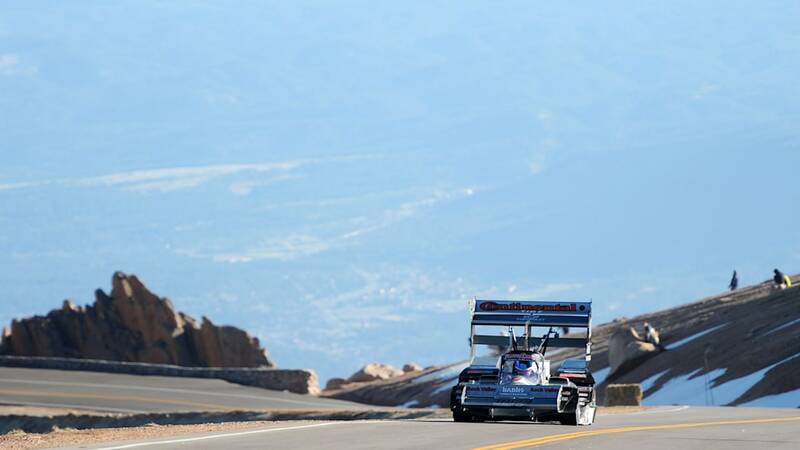 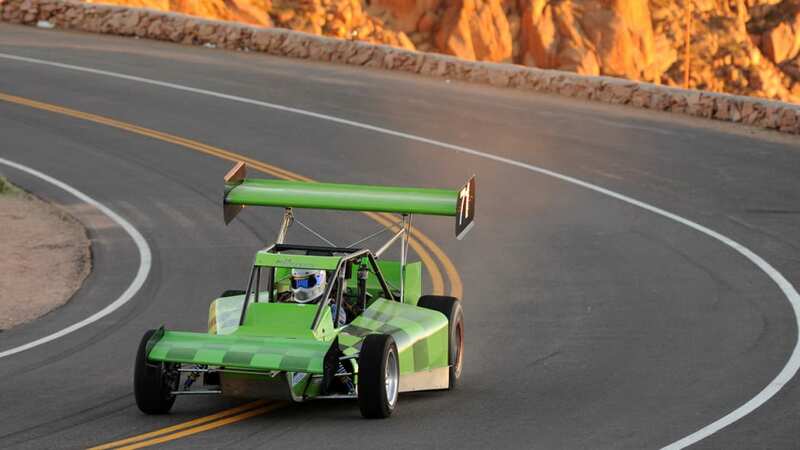 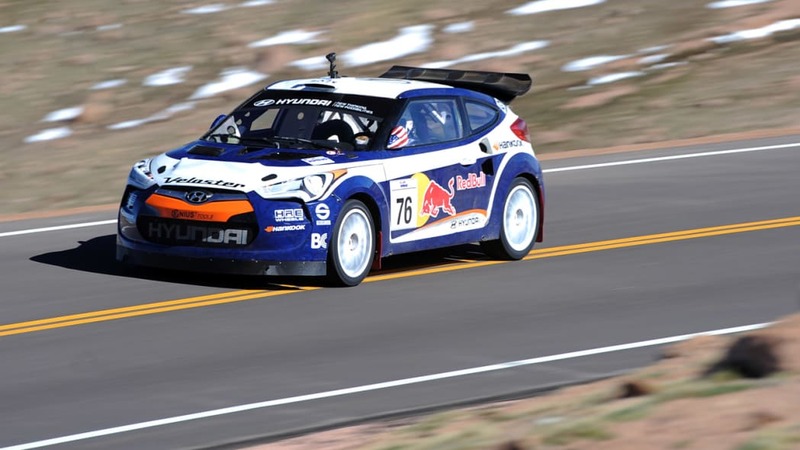 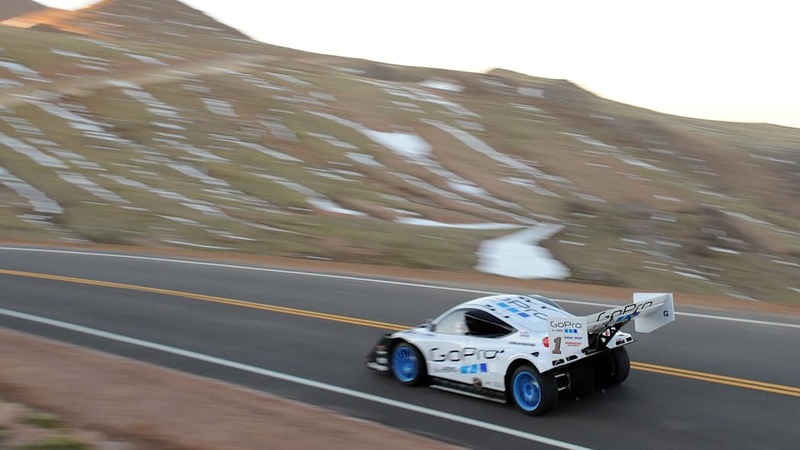 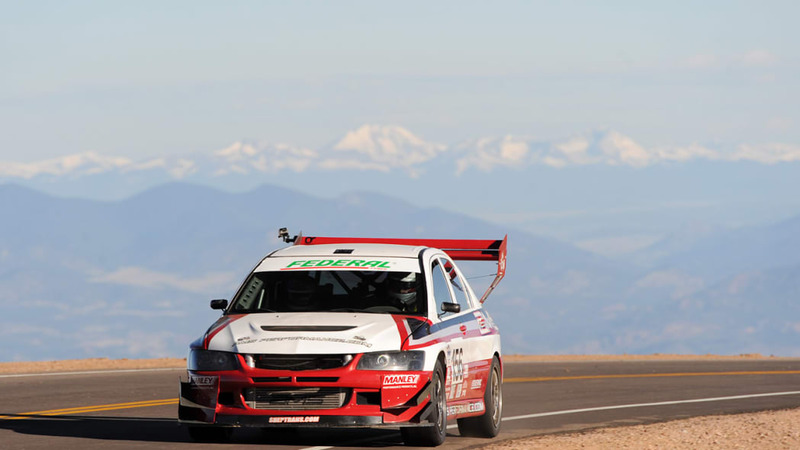 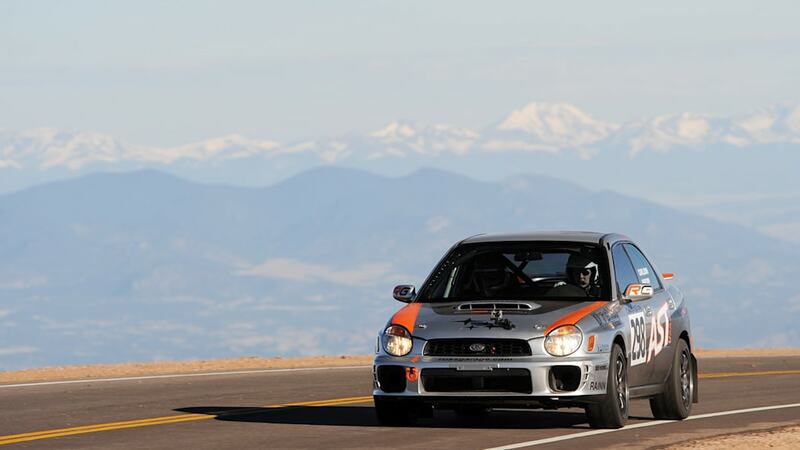 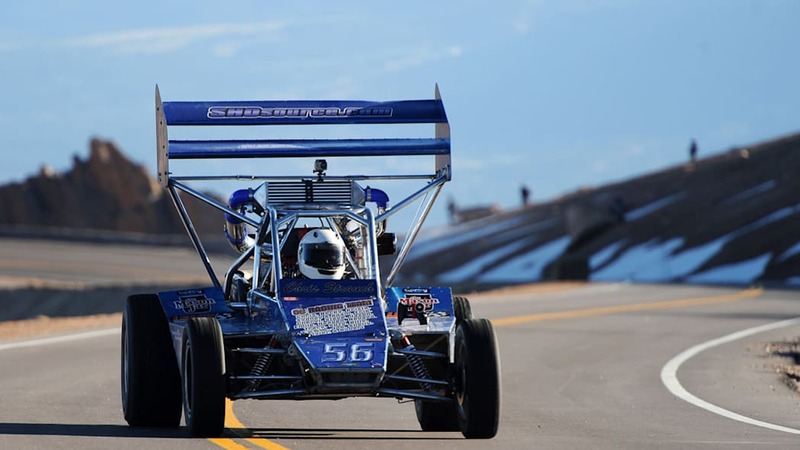 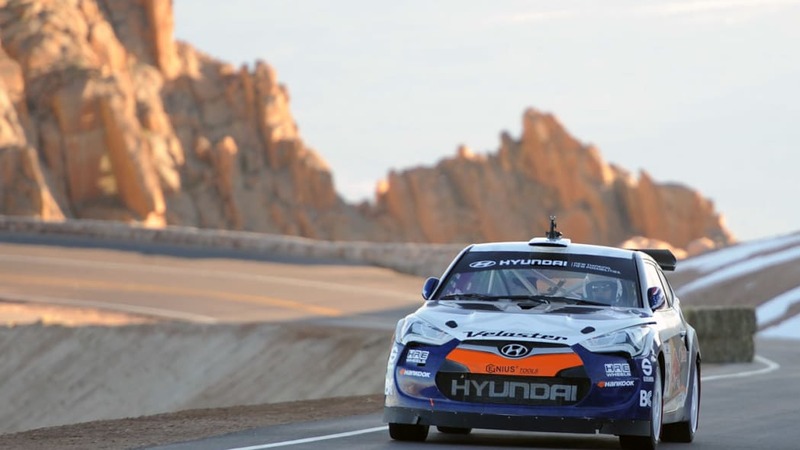 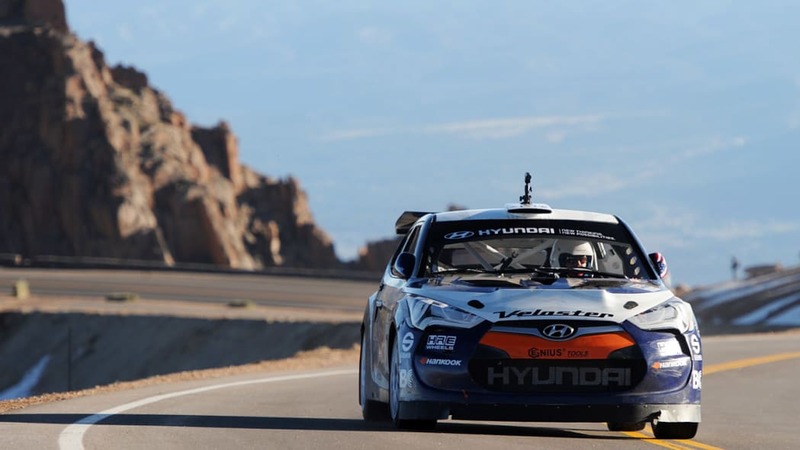 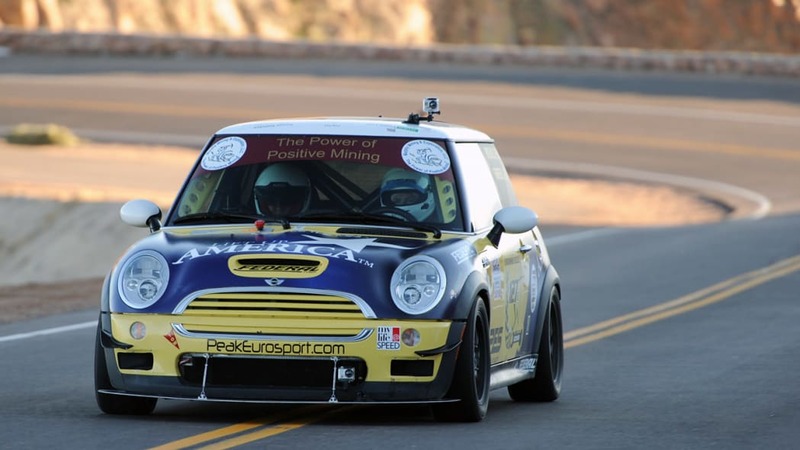 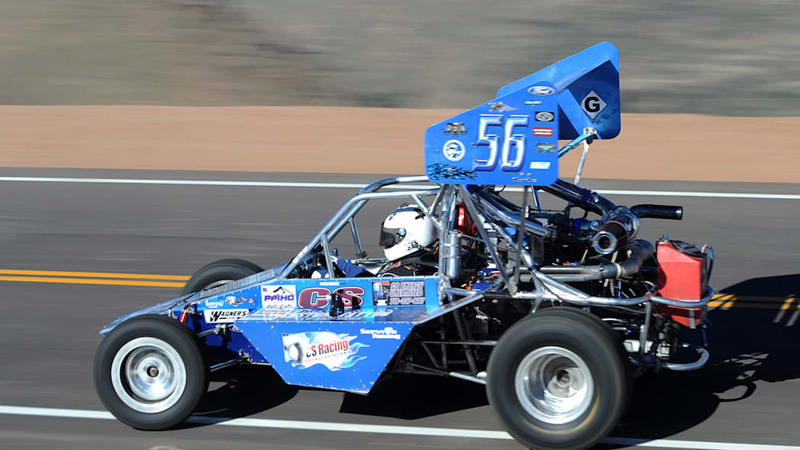 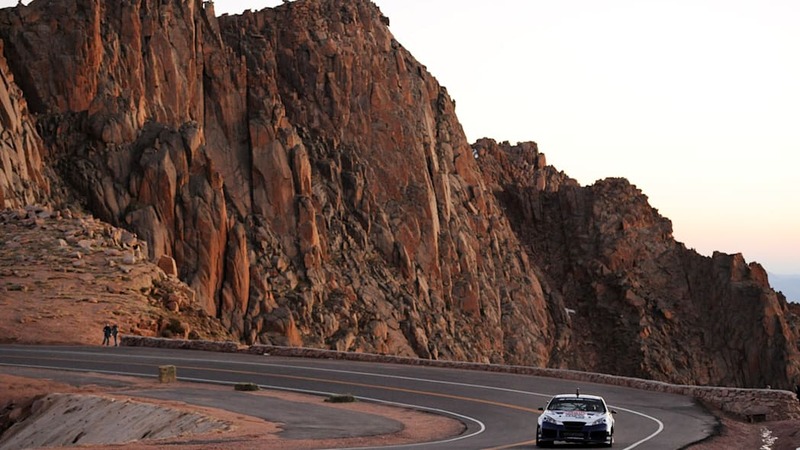 Early this morning (out the door at 3:00 am) we headed to Pikes Peak for the second of three practice sessions this week before race day on Sunday. 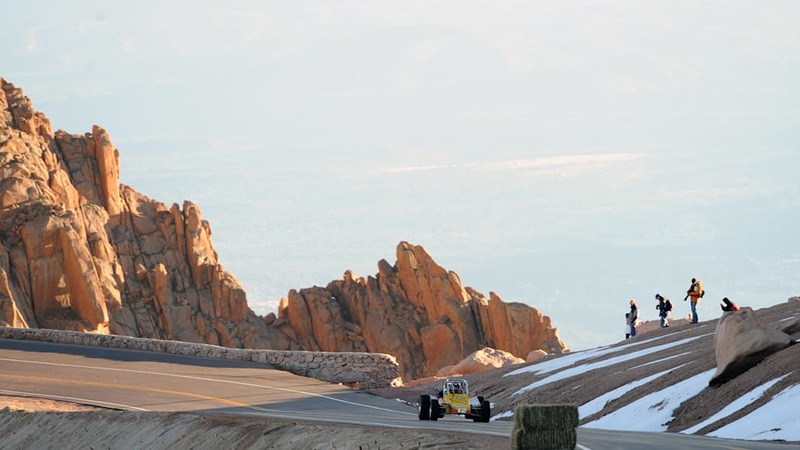 Our final destination was the summit, where the Unlimited Class would be tackling the final third of the course. 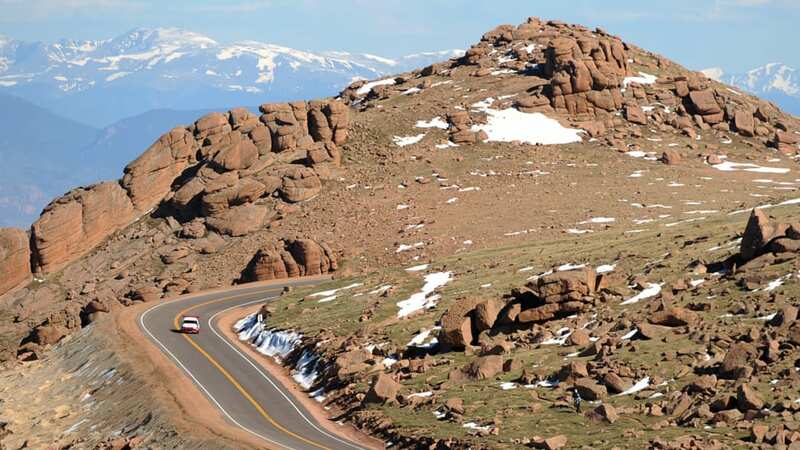 The past couple years more and more of the road has been paved, and for this year the final section has been completely paved over. 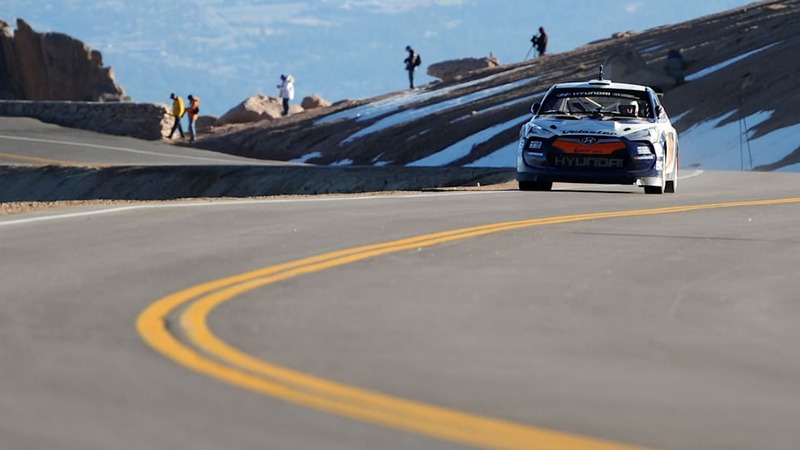 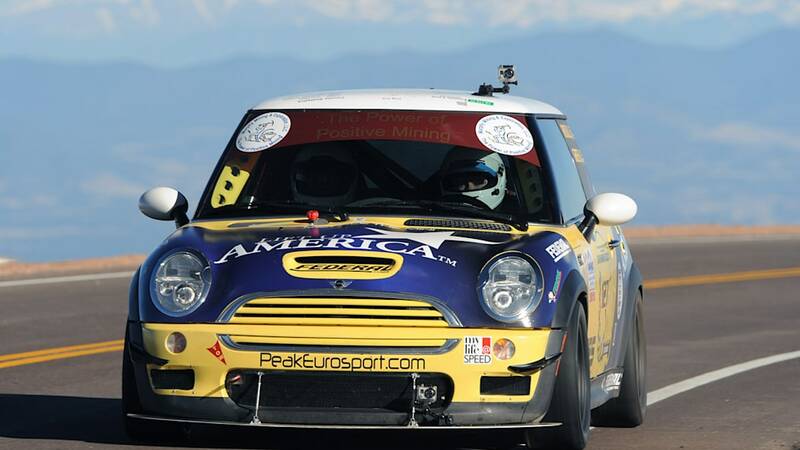 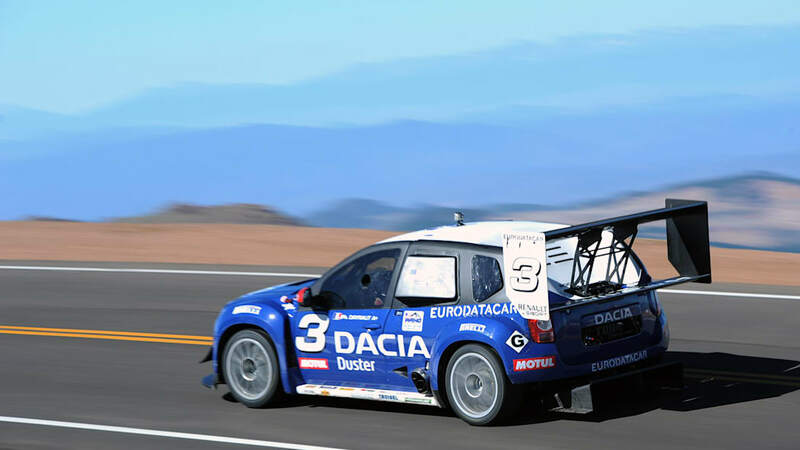 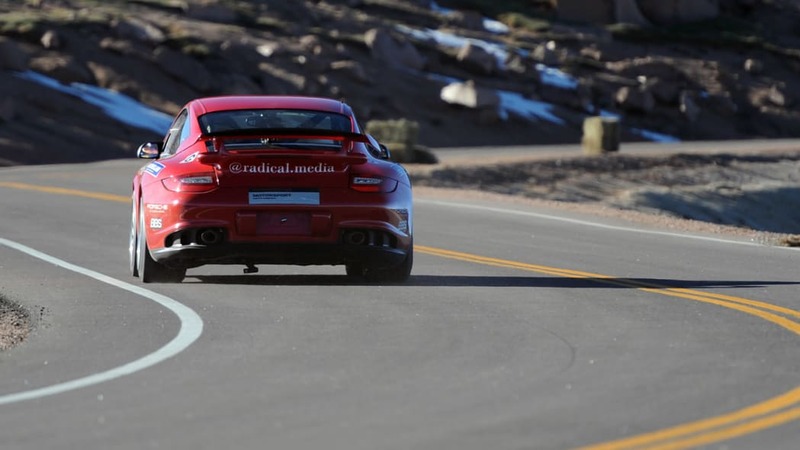 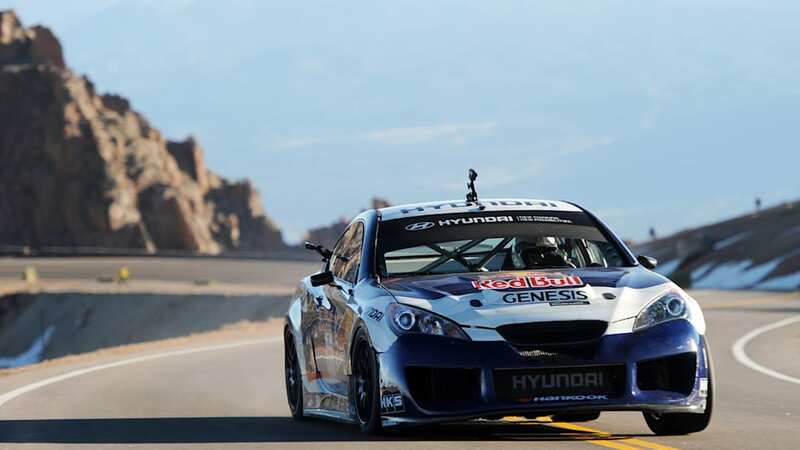 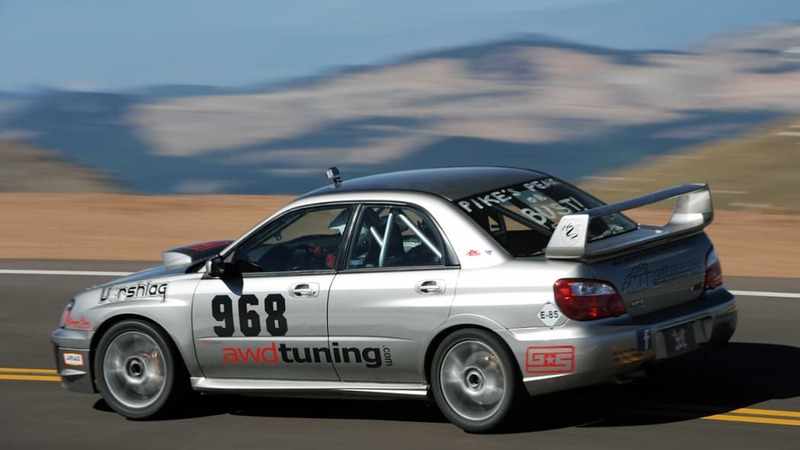 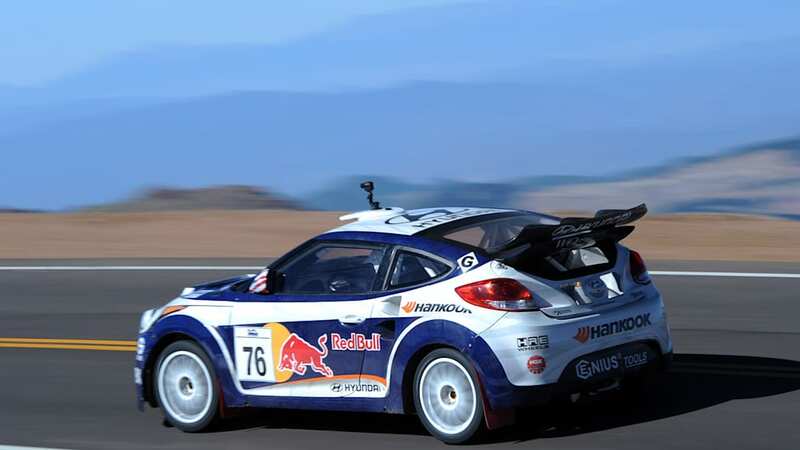 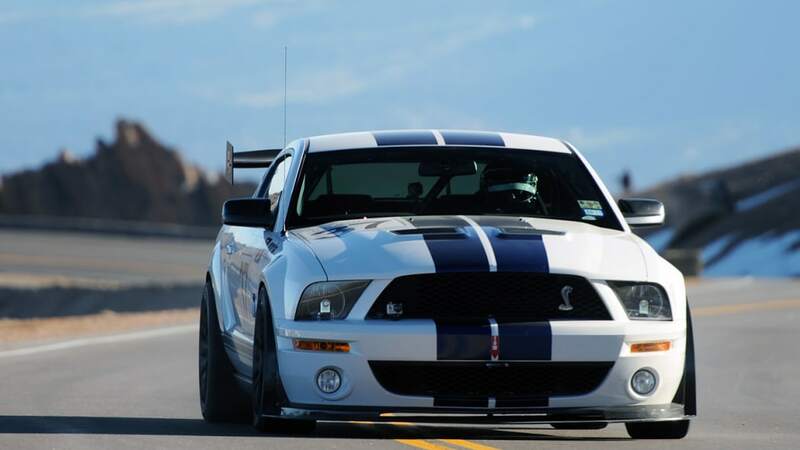 The fresh tarmac should knock a few seconds off each car's overall time, increasing the chances that 2011 might be the year that the overall course record will be broken. 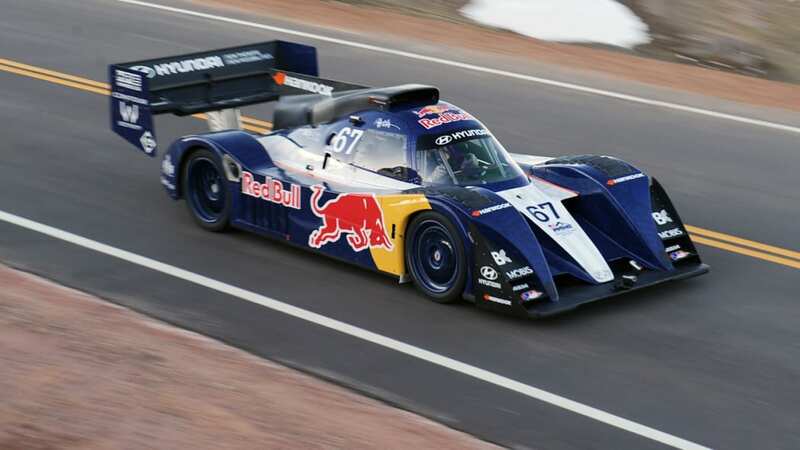 Unlike the past few years where Monster Tajima has dominated the time sheet throughout the week, this year looks like it could be anybody's race. 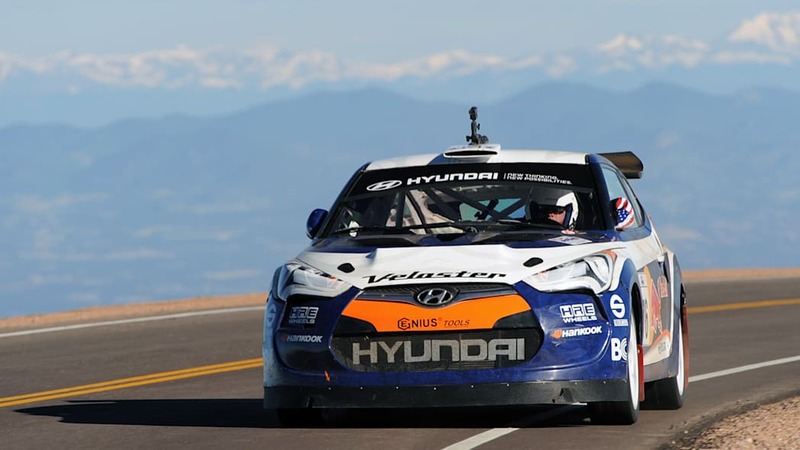 The four Unlimited drivers were separated by just two and a half seconds in yesterday's practice session, with local favorite Paul Dallenbach edging out Monster by just .16 seconds for the top time. 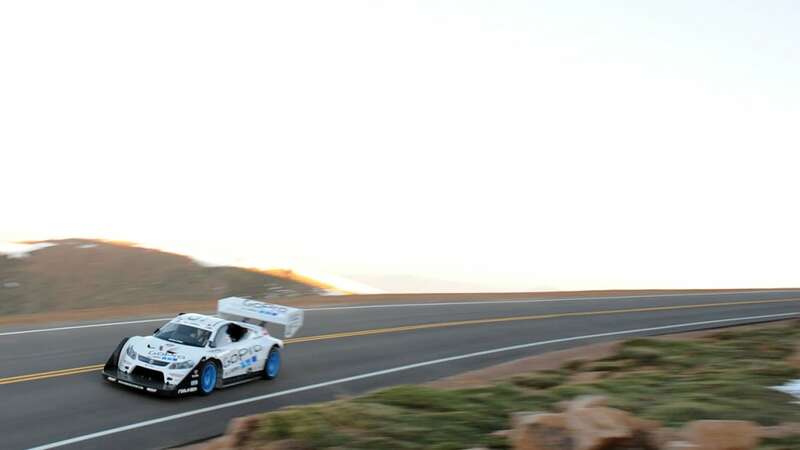 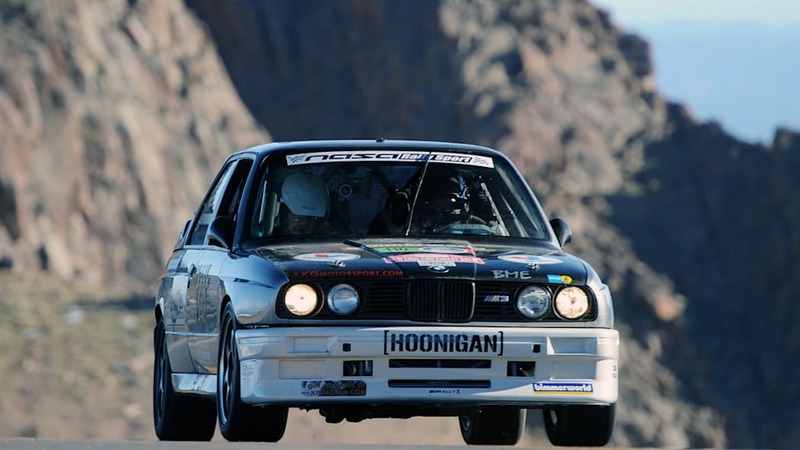 The numbers don't tell everything, however, as Rhys Millen, who's best time overall was the slowest, was actually fastest for most of the sessions throughout the morning. 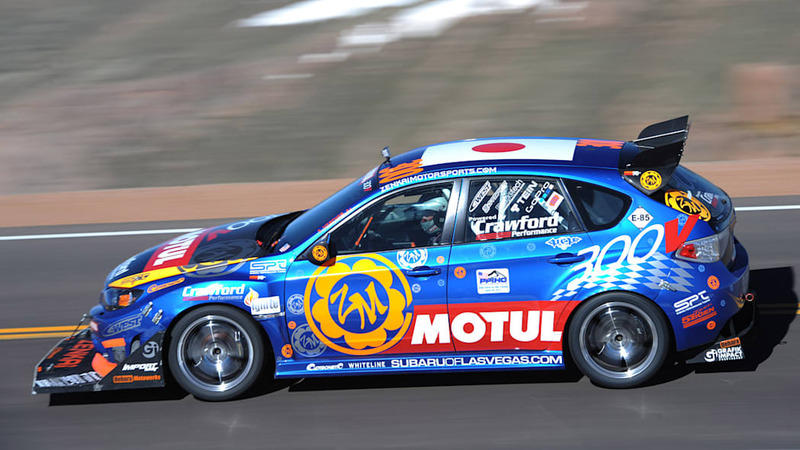 Tajima has more than his fellow drivers to worry about, however. 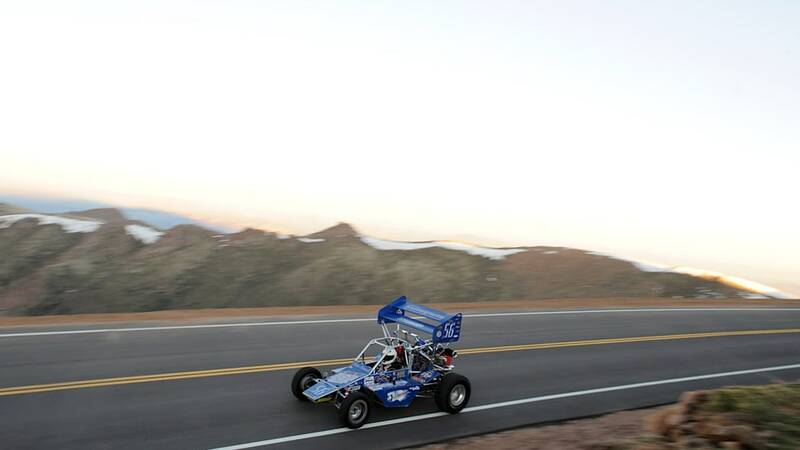 His Suzuki was rendered helpless at the start line with a blown clutch after the first run. 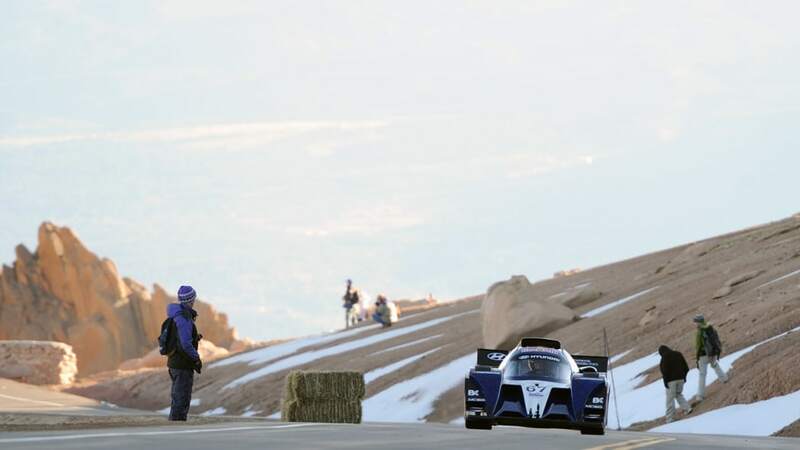 Replacing the specially-made part would take three hours, leaving Monster to watch the rest of the session from the sidelines. 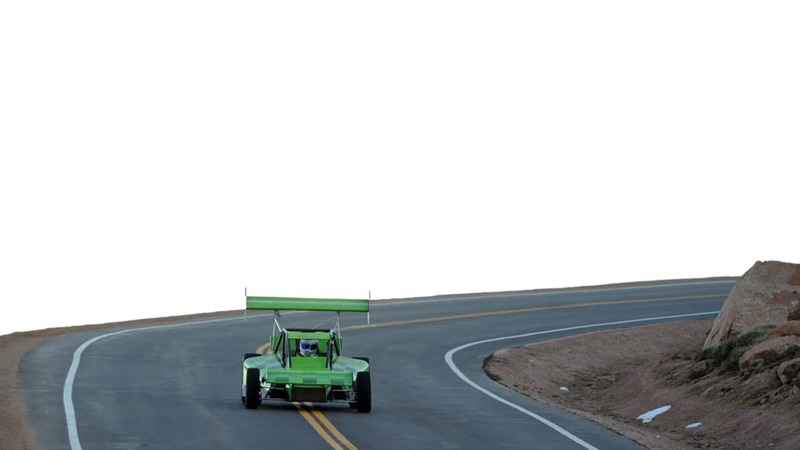 He fully expects to have his car in running order tomorrow, though. 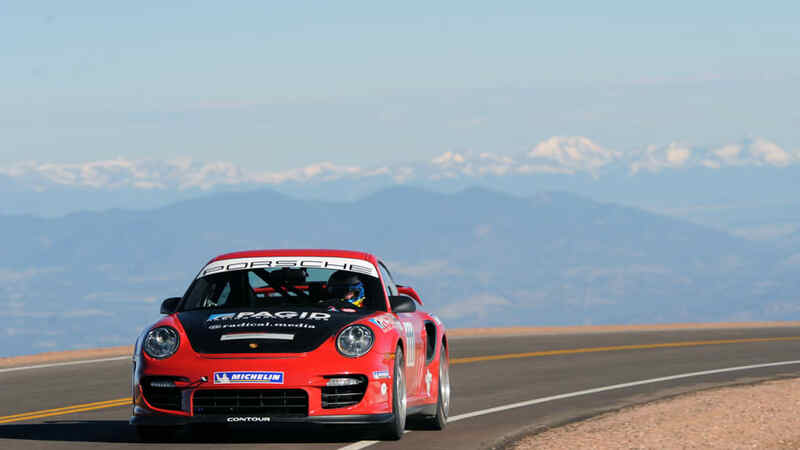 We'll have a better idea of how the Unlimited Class cars stack up after tomorrow's practice session that also doubles as a qualifying time for the race. 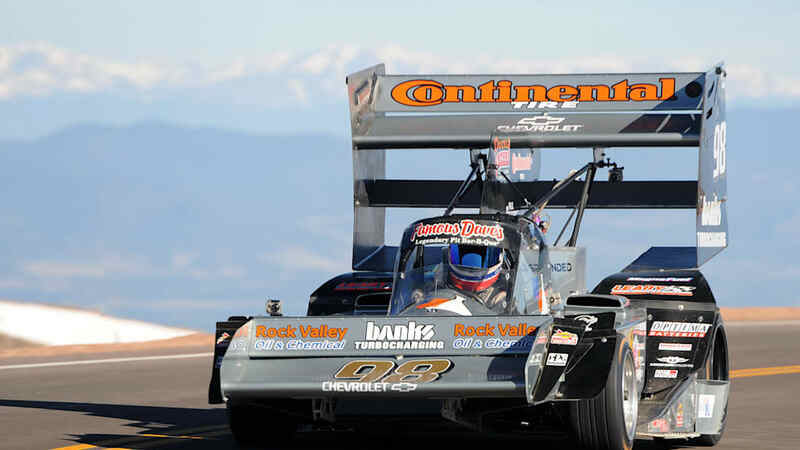 Check back tomorrow for a full report, and and until then, browse through our photos from this morning's practice runs in the included gallery.